SMASH FACTOR: HOW ‘PURE’ IS YOUR STRIKE? 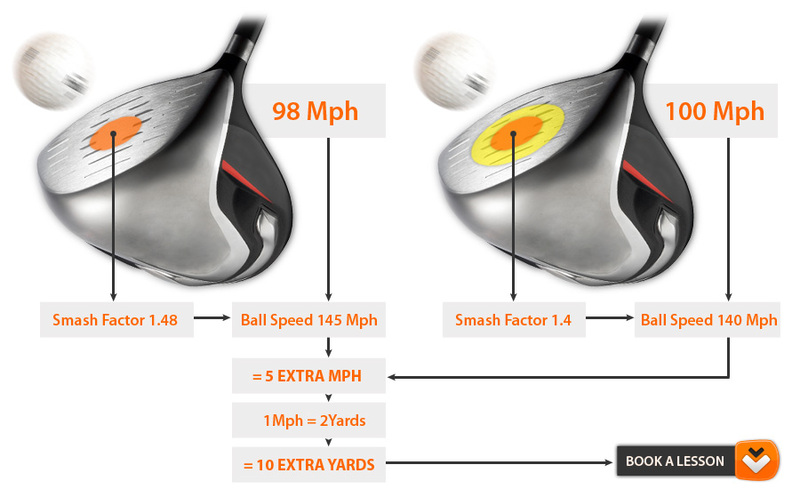 The quality or purity of a strike, the “Smash Factor” is of utmost importance as it converts clubhead speed into ball speed; combining with swing speed, the angle of attack, and COR to determine the overall distance that the ball will travel. It’s calculated by dividing the ball speed by the clubhead speed, with a ‘perfect’ strike generating a smash factor of around 1.5. This entry was posted in golf, golf instruction, golf tips, sports and tagged golf fitness, golf lessons, golf plane, golf practice, golf slice, golf swing, golf tips, out to in golf swing, overthe top. Bookmark the permalink.